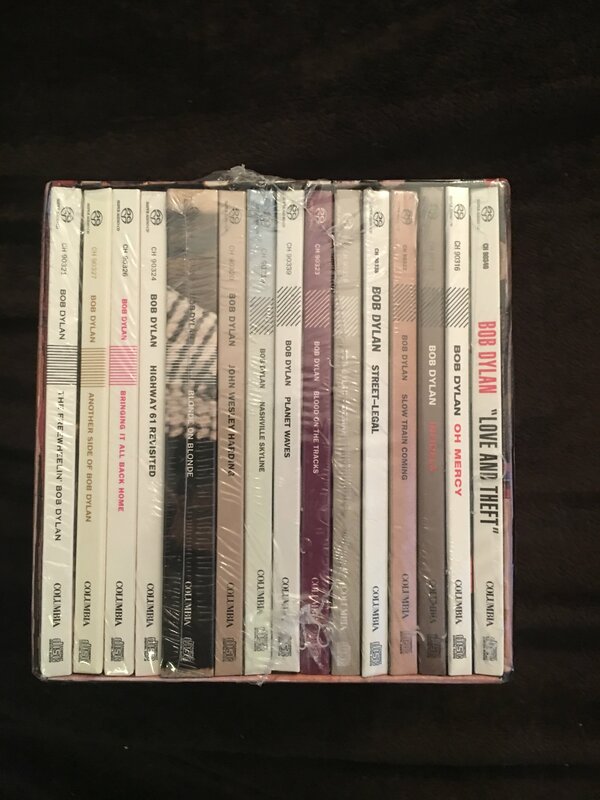 Bob Dylan SACD Limited Edition 16 CD Box set. Brand New, sealed. Bob Dylan SACD Limited Edition 16 CD Box set. Brand New, unopened, still in shrink wrap. Please see pics for contents. CDs play in both SACD and regular CD players. Price is $275. U.S. Postal media mail shipping (with postal insurance) is $8 extra. I will pack the item in bubble wrap, ship it in a sturdy box, and insure it at full vale. Payment by pay pal friends/family. Thanks. Free Shipping (media mail with postal insurance) now offered. Total is $275. Thanks. Payment by pay pal friends/family. Price reduced: $270 (with free media mail shipping and postal insurance). Payment by pay pal friends/family. Final price reduction to $260 shipped. Payment by pay pal friends/family. Thanks. Price reduced: $255 shipped (that's less than $16 each for 16 SACDs). Brand New and Sealed. Payment by pay pal friends/family. Thanks. Bump..still available...price also now reduced to $250 shipped. Payment by pal pal friends/family. Thanks.